Sameer Ansar Writes: Going to Kerala. Its unfortunate to see travellers come to Kerala and follow a schedule and route to see places and return. There are three common ways they travel. 2. Land at Trivandrum, visit Kovalam, Varkala, Ponmudi, drive down to Alleppey and return via Kumarakom to Trivandrum. This is not how you should experience Kerala. 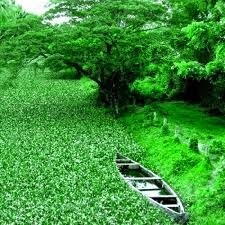 Kerala, is really God's own country. It is a slow, peaceful, tranquil experience. To find a true holiday here you need to take a break from it all and erase your itinerary. You need to drive on the inner roads(M.C Road) or take the sea side roads (from Alleppey via Arthungal to Cochin). 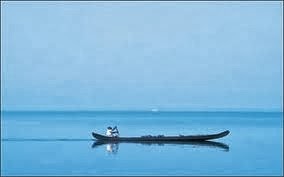 Travel to places beyond Kuttikanam and find where the road ends and the silence is defeaning at Mundakayam. Take a jeep drive across the hills where it takes an hour for a few miles and discover a top spot from where you see for miles and know that Kerala is indeed Green. Discover idle countryside "chai" and "thattu" kadas with sizzling hot delicacies. Discover how a single newspaper stokes the knowledge of an entire village around a cup of chai or how a local issue is sorted over a bottle of toddy. Enjoy the pleasure of swimming in chilled, clear waters that flow down small hills. To enjoy Kerala, drive away from the main roads, the towns and the traffic. Take a U turn, go down that small road that will take you to the most magical holiday.